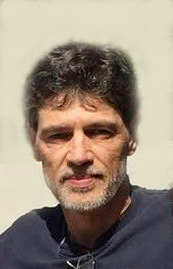 Obituary for Steven Bolinger | Esterdahl Mortuary and Crematory, Ltd.
Steven L. Bolinger, 53, of Davenport, IA, passed away Saturday, April 13, 2019. Funeral services will be 2:00 p.m. on Friday, April 19, 2019, at Esterdahl Mortuary & Crematory, Ltd. Moline. Visitation will be 12:30 to 2:00 p.m. prior to the service at the funeral home. Cremation will take place following services. Memorials may be made to the family. Steven was born on August 23, 1965, in Davenport, the son of Joe Bolinger and LuAnna Hill Bolinger. He was a hard worker that was skilled in many trades and absolutely loved serving people. Steven enjoyed watching NASCAR, he cherished his daughter and truly loved serving the Lord. Survivors include his daughter, Tara Ann Lonero; Siblings.